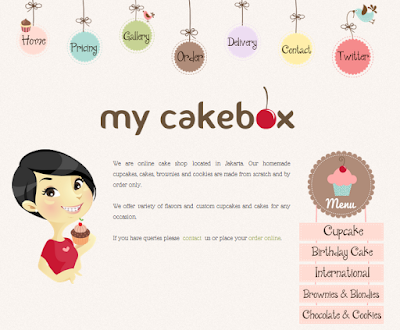 My Cakebox blogger template is the newest custom design for cake blog. The client request a simple but chic and cute design, so I don't use too much background image. Mix and match brown and pink color. I also use woman illustration of the owner. The menu graphic makes this cake blog design looks cute too. I want it! So how? i want this desing for my sister blog. so how can i take the html?? i want it! where's the html? yes, i want this, but how can i take the html? i want it, is very cute :3 how put it in my blg? so cute..but not free hikss..